It is a municipality in the province of Perugia, located on a hill, surrounded by unspoilt countryside, overlooking the valley of Chiascio. It lies on the trail, used several times by Saint Francis and today an important pilgrimage destination. The old town dates back to the medieval period: it is surrounded by long stretches of fortified walls and features two watchtowers. 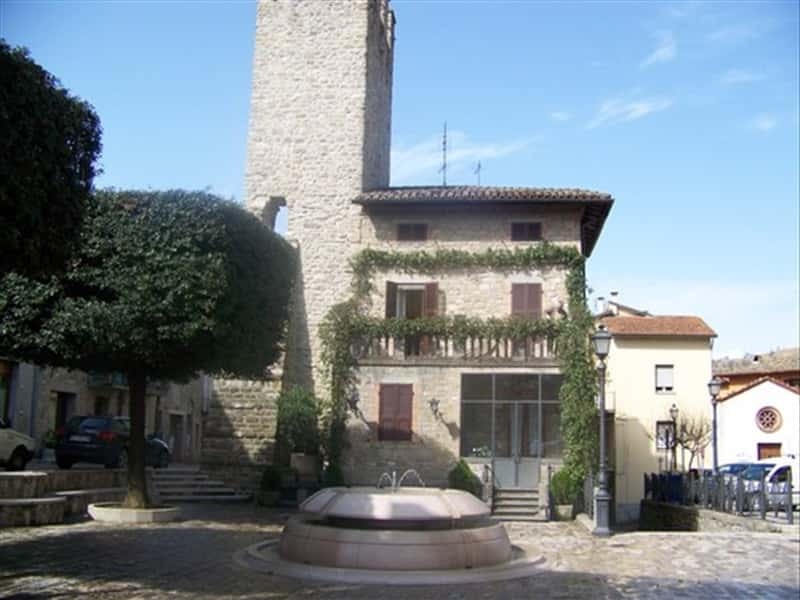 Of particular interest are: the district of Casa Castaldi, whose old centre is characterized by a diamond shape and features several stone houses and the district of Giomici, rich of important historic and artistic elements. The foundation of the village dates back to the Middle Ages and was linked to the Abbey of St. Maria in Vado Fabricae, located in a position not far from the river, along the connection trail between Gubbio and Assisi. It was the link with the latter city, that ensured the development and a period of wealth for Valfabbrica. The period of prosperity did not last long because of disagreements between Valfabbrica and nearby towns ruled by feudal lords linked to Perugia, which in the XIII century brought to the destruction of the main centre by the troops of Perugia. At the end of the XV century the castle was assigned to the Duke of Urbino, while in the XVI century, for only six years, the town was subjected to Assisi, then it was acquired by the Montefeltro, until in the first half of the XVII century it became part of the territories of the Papal State. In 1814, Valfabbrica was enlarged with the assignment of the territories of the district of Casa Castalda. - the ruins of the Roman bridge. This town web page has been visited 17,066 times.